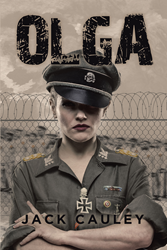 Recent release “Olga” from Page Publishing author Jack Cauley is a graphic tale that involves scenes of murder, torture, war, and genocide during the historical setting of Hitler’s Aryan supremacy movement. Jack Cauley, a dedicated writer and an avid student of warfare, has completed his new book “Olga”: a riveting narrative about Olga Kruger, an orphan whose life took a turn to serving Nazi Germany and their views on puritan supremacy over all inhabitants of the civilized world. Published by New York City-based Page Publishing, Jack Cauley’s spine-tingling novel pictures the horrifying reality of brainwashing broken individuals into doing atrocious deeds, masked by the promise of self-liberation and satisfaction. “Olga” also shows that with love and compassion, the road to reparation and rehabilitation is assured, no matter how deep the damage has been done. Readers who wish to experience this engrossing work can purchase “Olga” at bookstores everywhere, or online at the Apple iTunes store, Amazon, Google Play, or Barnes and Noble. Page Publishing is a traditional New York based full-service publishing house that handles all of the intricacies involved in publishing its authors’ books, including distribution in the world’s largest retail outlets and royalty generation. Page Publishing knows that authors need to be free to create - not bogged down with complicated business issues like eBook conversion, establishing wholesale accounts, insurance, shipping, taxes and the like. Its roster of authors can leave behind these tedious, complex and time-consuming issues, and focus on their passion: writing and creating. Learn more at http://www.pagepublishing.com.